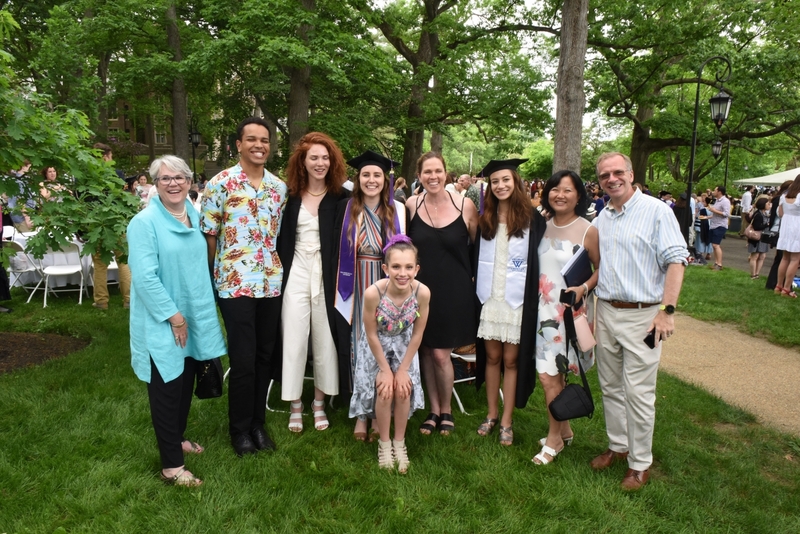 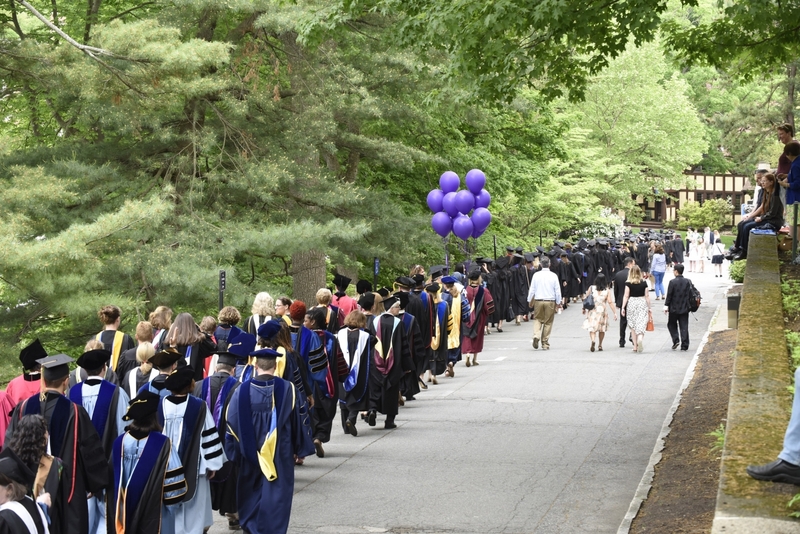 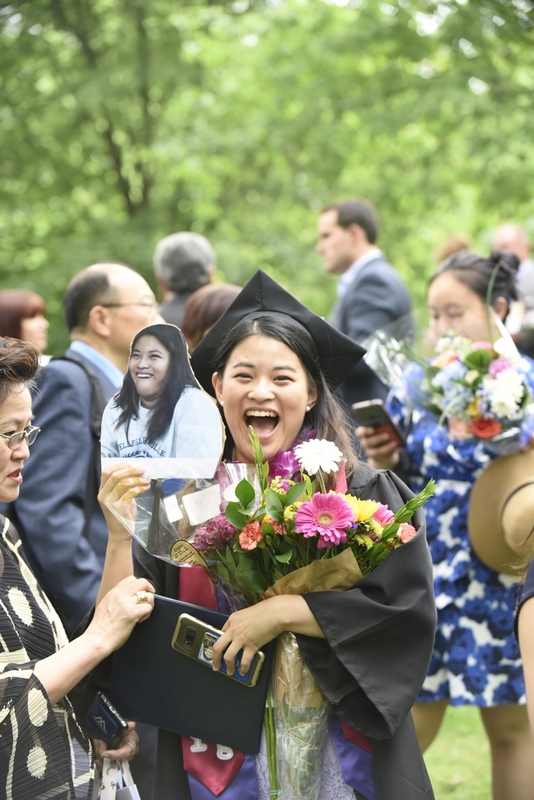 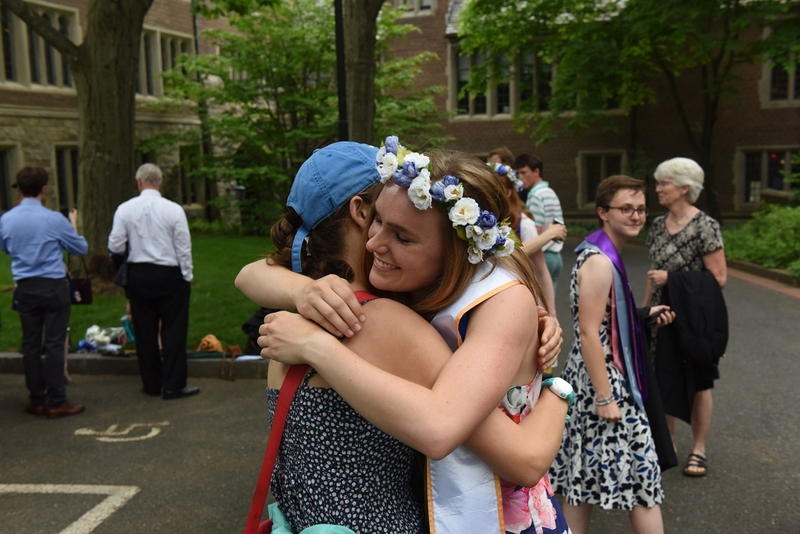 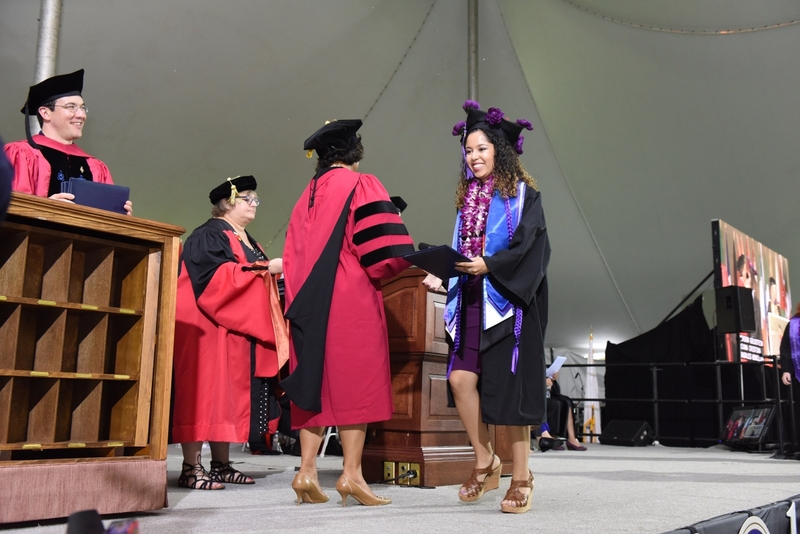 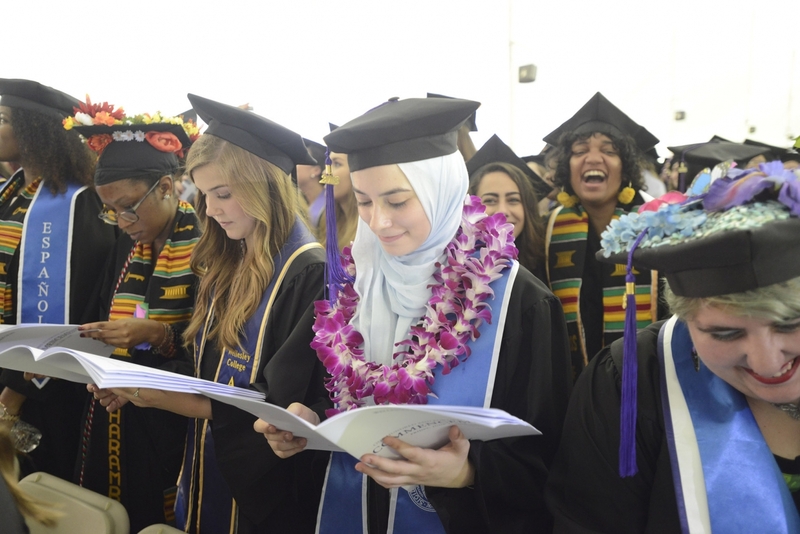 On a perfect May morning, the members of the purple class of 2018 joyfully celebrated their accomplishments and collected their diplomas. 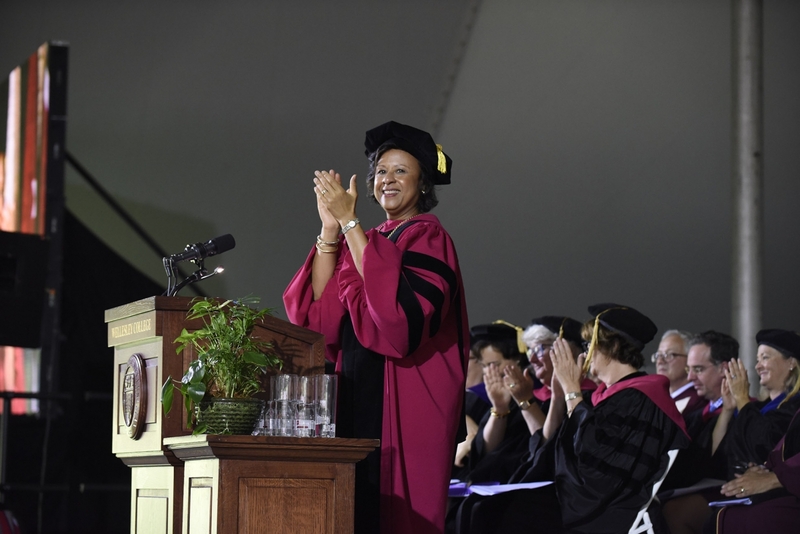 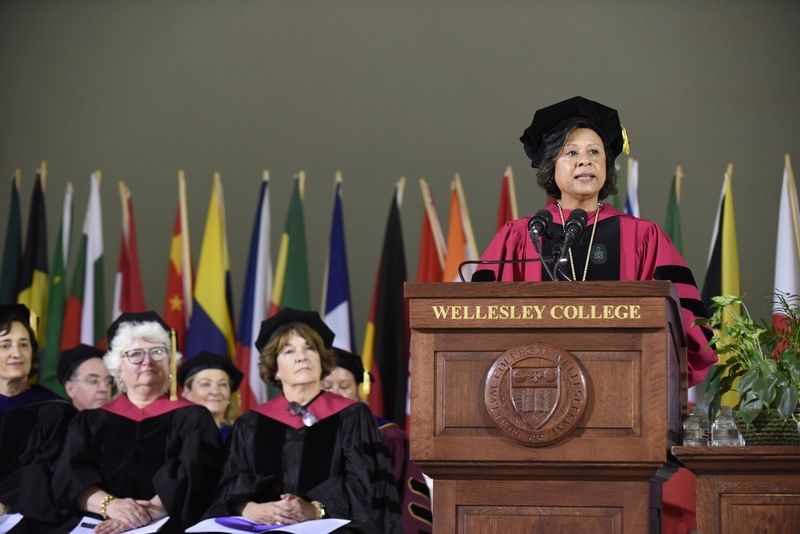 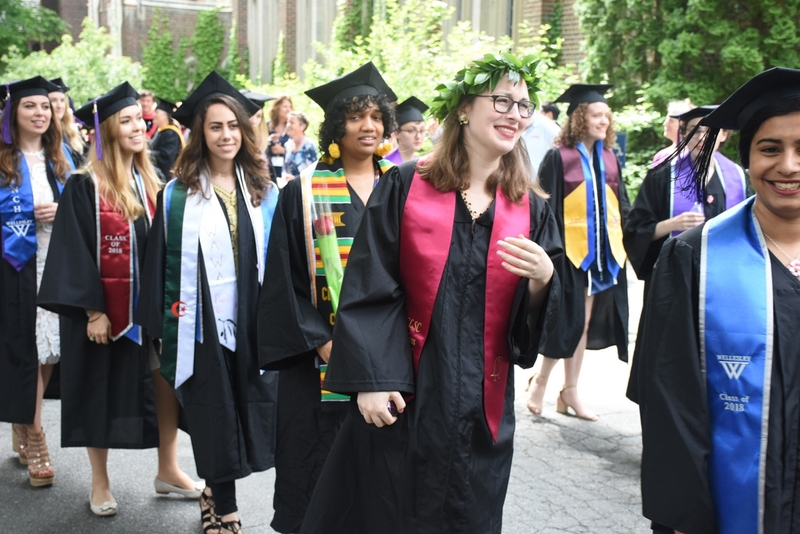 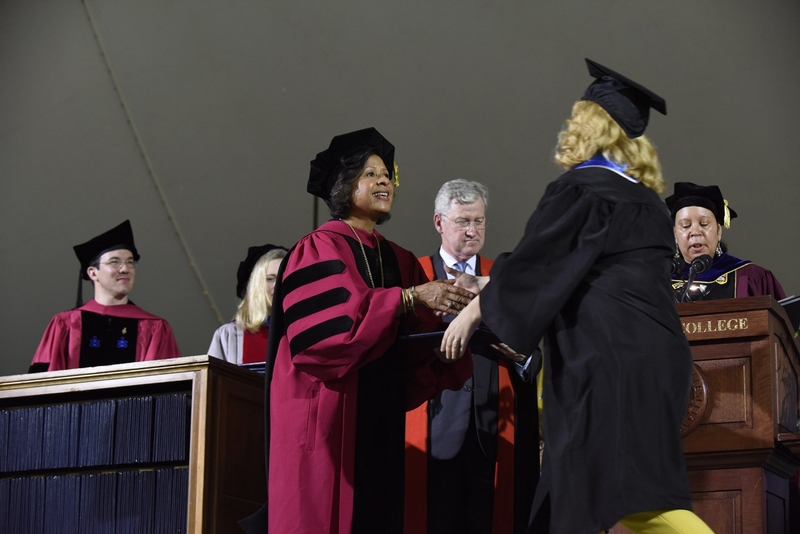 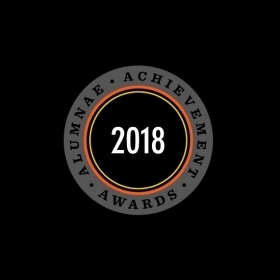 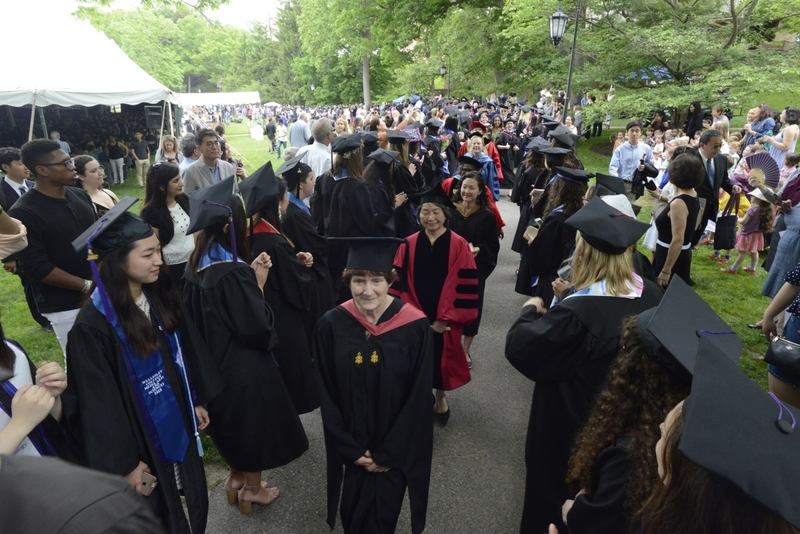 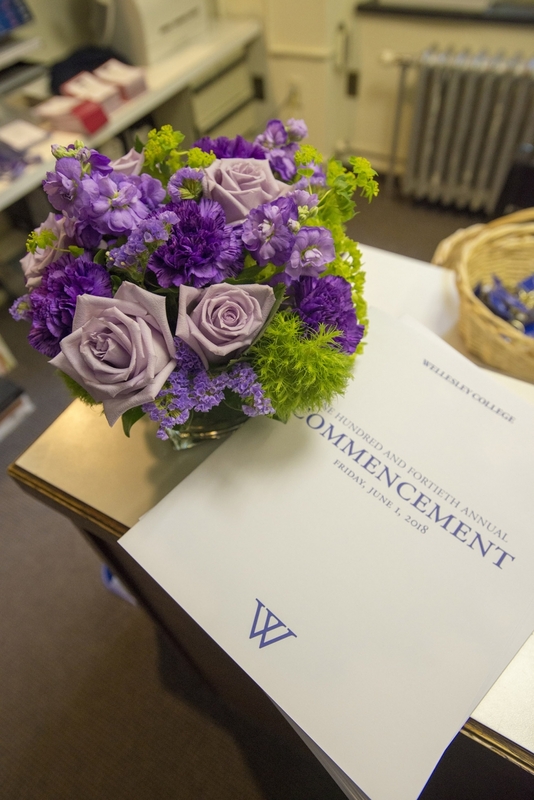 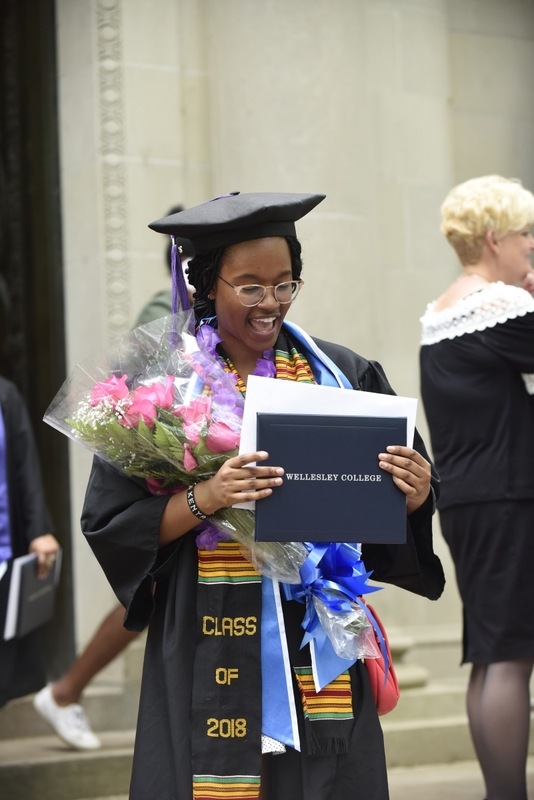 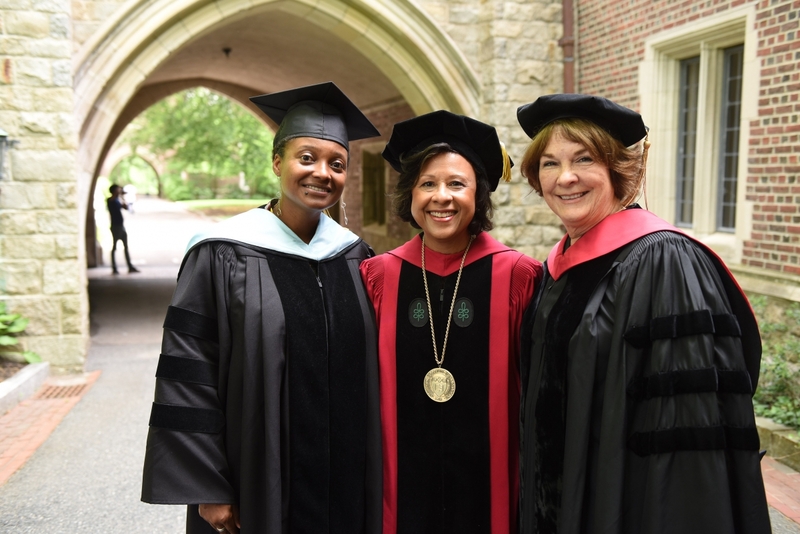 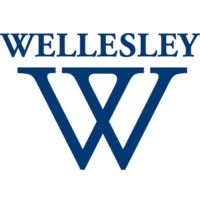 Commencement speaker Tracy K. Smith, poet laureate of the United States; Wellesley president Paula Johnson; and Laura Daignault Gates ‘72, chair of the Board of Trustees. 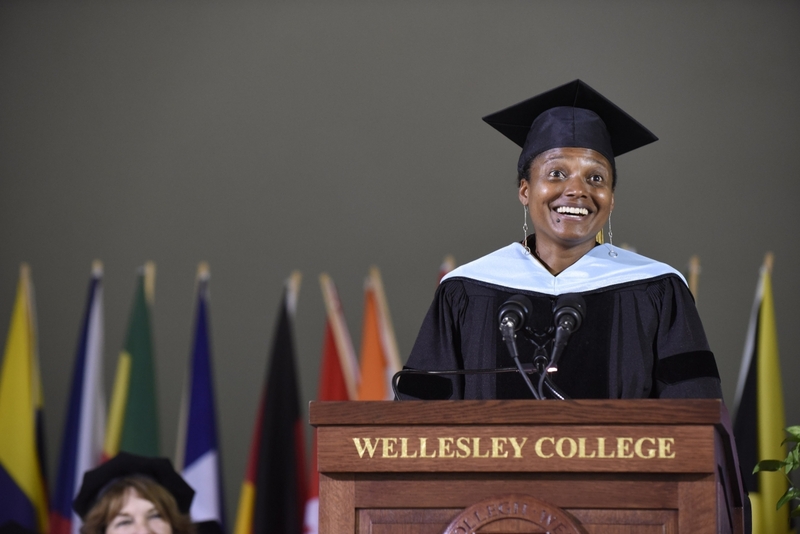 Poet Laureate of the United States Tracy K. Smith was the 2018 commencement speaker.